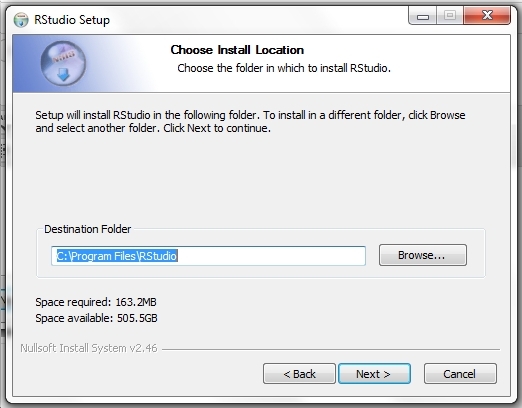 After you’ve downloaded and installed R, you should download and install RStudio! 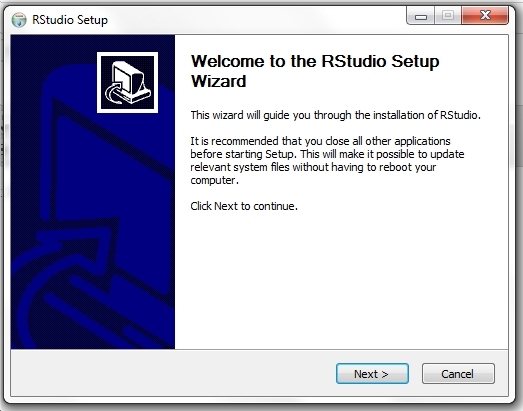 Scroll down to find out how to download and install RStudio. RStudio is a separate piece of software that works with R to make R much more user friendly and also adds some helpful features. 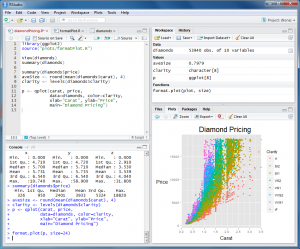 What can RStudio do for you? First, RStudio gives R a point and click interface for a few of its features. Second, RStudio adds a number of features that make your R programming easier and more efficient. First, go to http://www.rstudio.com/ and click Download now. Next, click Download RStudio Desktop. Next, click the link to the version of RStudio appropriate for your system. The first link is to the version that RStudio recommends for you. Clicking this link downloads RStudio to your computer. Next, find the file that was downloaded and double click it. It will be named something like RStudio-0.96.331.exe. This will start the install process. Only a few more steps! Click next to continue when the install wizard opens. Last step! 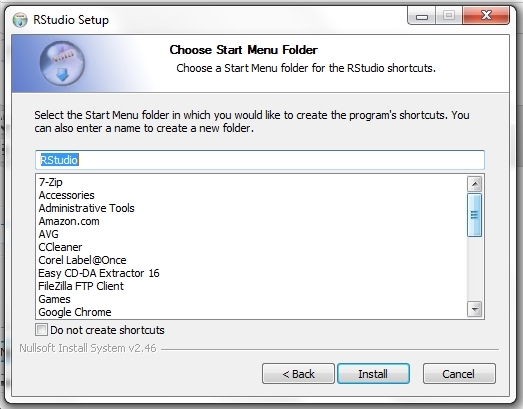 Click Install to accept the default start menu folder and install RStudio! Click Finish to close the wizard. 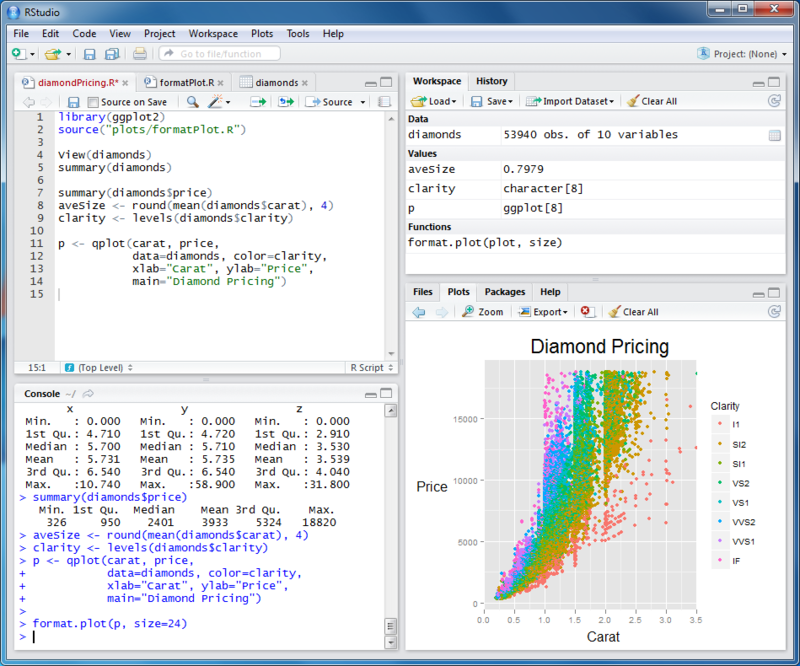 What do you think of RStudio? Prefer RCommander or Tinn-R? Post in the comments and let us know! To learn how to work with RStudio, try the exercises in this working with the RStudio tutorial. I downloaded it successfully but I cant open it even though installed it,I have followed the steps. Does it give an error message? What operating system are you using? Hi, Im using windows 7 professional, Ive already downladed the R version for RStudio 0.99.902 – Windows Vista/7/8/10 but it doesnt work, any suggestion? It must have been down temporarily. It is working now. Please send the link to download R Studio on Windows . Thanks so much for taking the time to put this together. R is my first foray into the computer programming world, so even simple stuff like downloading programs can be a challenge for me. Your instructions were really clear and easy to follow. I really appreciate your efforts!!! Thanks, I’m happy that the site was helpful! Good luck!